Using Twitter for #realestate or #investing in #appleton? Me too! If you are new to my blog let me introduce myself. 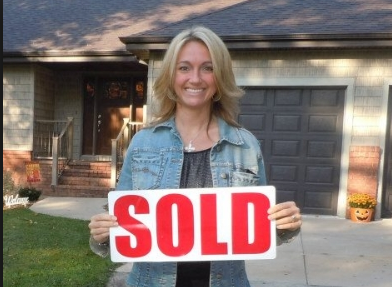 I'm Jacci Konkle, an Appleton Realtor. (Well, actually I service Appleton, Green Bay, Kimberly, Kaukauna, Little Chute, and the rest of the Fox Valley, but to keep it simple people like to refer to me as an Appleton realtor. You'd be surprised how often I get the question, "what does a realtor actually do?" Well... if we are doing our jobs right, we do a whole bunch, all with the goal of selling your house as fast as possible and getting you the best return. As you might imagine, there's a lot that goes into this...too much for one blog post! So let's hit the basic stuff first. Jacci Konkle on VIP Flip Show with Flipnerd! Recently I had the chance to appear on the VIP Flip show with Mike Hambright a.k.a "The Flipnerd". I want you to check out the show for yourself, but I just want to say what a pleasure it was to be interviewed by Mike and talk all about the topic of networking to find deals.